The Piaggia estate was created by Mauro Vannucci in the mid 1970’s and is located in the gently rolling Tuscan hills, just about 10 miles west of Florence. Although Mauro still influences the direction of the estate, today his daughter Silvia is the owner and a major force behind the family winery. We caught up with her and consulting winemaker Emiliano Falsini in one of the earliest interviews done at TuscanVines. 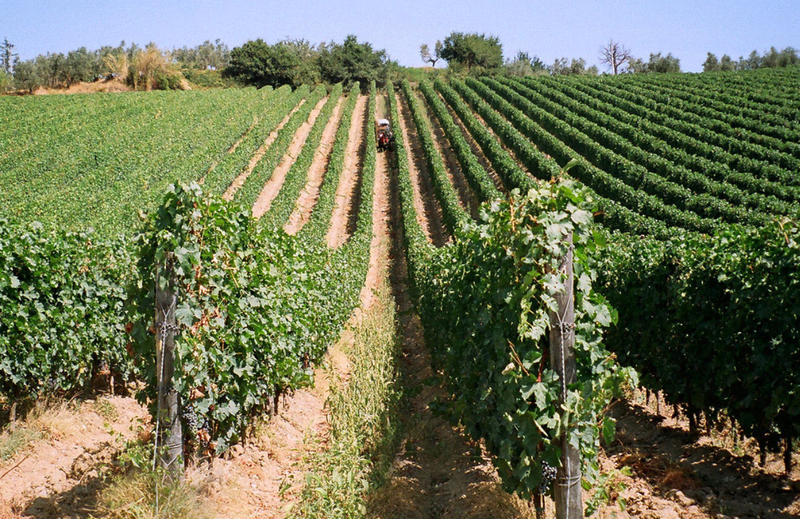 Primarily a producer of the DOCG wine Carmignano, which by law can be blended with Cabernet, Cabernet Franc, and Merlot, Piaggia also produces small lot wines outside the DOCG regulations. 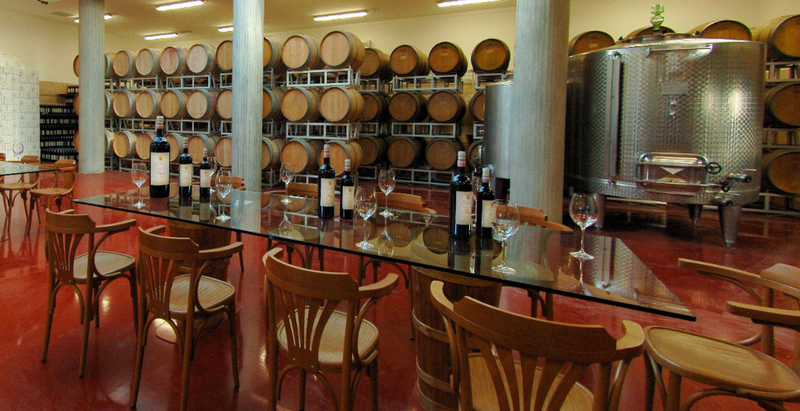 The Piaggia Estate is situated in the province of Prato and extends for over 25 hectares, approximately 15 of which are under vine. A relatively young estate, their first Carmignano Riserva was produced in 1991, Piaggia has clearly become the leader in the Carmignano DOCG and with the skilled team at the helm, their wines continually garner Tre Bicchieri recognition. Today, we’re focusing on one of their best wines; a wine that is a rare find in Tuscany. 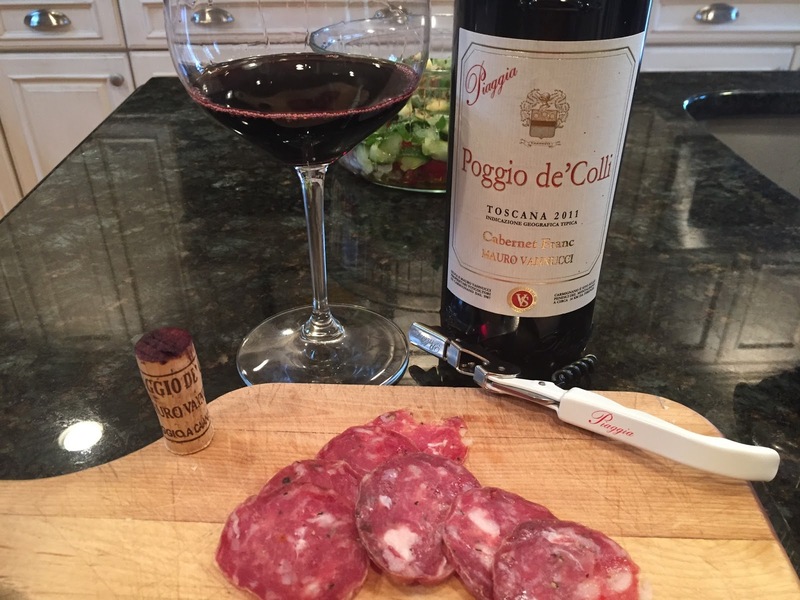 The 2011 Poggio de’Colli is 100% Cabernet Franc from a single vineyard on the estate. It is mind blowing. It’s a deep blackish purple in the glass with hardly any lightening to the color at the rim. Cabernet Franc can be finicky and display a lot of green vegetal aromas when it’s not properly ripened and vinified correctly. There is no worry of that here! The aromas are amazing and include a symphony of crushed black fruits, floral and lavender notes, spices, cured meat, and mocha that are captivating to smell. As wonderful and enticing as this wine is to smell, it eclipses any expectations when you taste it. Cascades of juicy, ripe, fresh black fruit come in clean waves on the palate and are joined with espresso bean, spices, fresh herbs and vanilla. Elegant and long, with integrated tannins and revitalizing acidity, this stays fresh and focused through the long finish. There’s nothing more to want here, except more wine. 97 points and an amazing value around $40. Poggio de’Colli is vinified in open topped wood vessels with natural yeasts and left to macerate for up to 2 weeks on the skins. The wine is then transferred to French barrique where it ages for 15 months and then is bottle unfined and unfiltered to complete at least 6 months bottle aging prior to release. Have you ever had another CF you liked as much? No, never. I've been impressed by Le Macchiole's Paleo and perhaps surprisingly, with Barboursville CF Reserve from Virginia. But this is very special. I've had a few vintages at Gambero Rosso, but this is the first I've owned in my cellar. I think the 2012 will be a must. It's not around locally – have to mail it in. But it's worth the extra effort.